Check out our Best Of list: Top 100 Restaurants in Malaysia or something Romantic for valentine? 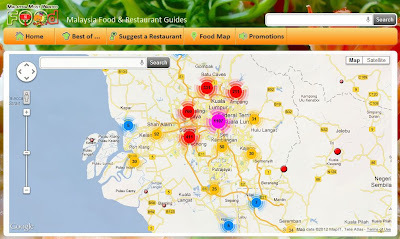 Now, you can easily browse for food & restaurant using Google Map. Search for a particular place and it will show all the nearby restaurants. In fact, it'll automatically show all the restaurants near you. Cool? Chinese New Year Restaurant Promotion? It seems the simplest thing is the hardest is true, and to create the “perfect” one liner pitch. I am thinking about how to simplify it while adding more information into it at the same time, for quite a while now. Inspired by “Startups: Give Us Your Best One-Sentence Pitch”, I’m going to give it some time to try it out. My Company, (Company Name) is developing (a defined offering) to help (a target audience) (solve a problem) (with secret sauce). At the end, the final polished example is: My Company, Socialista, is developing an ecommerce site to help new parents, who are female, shop for hip baby products at wholesale prices with automated ordering of diapers and other staples. (Lesson learned: drill down with more specific and detail). My Company, Malaysia Most Wanted, is developing a restaurant review site to help food lover discover good restaurants based on recommendations from food reviewers. When people ask me what is Malaysia Most Wanted, I would say, “It’s an online food guide, like Yelp”. Sadly, very little people from this part of the world heard of Yelp. Then I would add, “It’s like TripAdvisor, but for Food.” Most people head of TripAdvisor, and I guess most would relate that it’s a website to help you look for food and restaurants, perhaps some would understand the community reviews part. But today the one-sentence pitch is not targeted towards the average Joe. “A restaurant review” sites seems pretty accurately define the offering, but the target audience section could still use some work. Food Lover? Hmm, most people would qualify as food lover and on the lookout for places for lunch and dinner, one time or another. My initial shot is EVERYONE, which sounds even worse. Who wouldn’t use a restaurant review site? Probably my mom and dad, as they are not avid Internet users, and they get their feeds from newspaper and TV. So, the Internet Savvy? I guess 90% of the startup are doing something related to Internet, thus no one bothered to phrase “Internet Savvy” (there is a possibility for Mobile-enabled). Based on the demographic provided by Alexa, my users seem to be female, childless, age 25-45 with postgraduate educations, and browse from work (I could agree with that). Does that mean my target audience is young working adult? It still sounds funny. And not to forget about country specific: Malaysia. So what kind of problem am I solving? The basic idea is to make it extremely easy to find suitable restaurants for daily lunch or dinner, and some place special for anniversary, birthday, etc. If I already know the place, I wouldn’t need this application, so “discover” sounds suitable. Discover what? Discover new restaurants? Discover suitable restaurants for specific occasions? Discover suitable restaurants for daily gastronomic satisfaction or special occasions? I am not sure that it’s getting better or worse. What is the Secret Sauce? On the basic level, we would need large quantity of data, so that there is a good pool to choose from. Then we need quality reviews, so that we could separate the good from the lousy ones. Then we need either more features or user experience enhancement, to make it really easy to use and relevant (something which really work, and users would return to use it again). Yelp probably nail the data quantity part (in US, at least), and high number of reviews (quality is debatable), and user experience should be ranked “standard” (nothing to wow about, but it is usable and works well). So, how could we be better than Yelp, or being different? I really hate this question at times, where in my mind I would be tempted to say “we are simply better, look at our numbers (for Malaysia market); we must be doing something right, right?” But in reality, I know that wouldn’t work: No one shall believe Malaysia Most Wanted is better than Yelp, and better in what? Data? Traction? Reviews? User Experience? Relevant Results? Branding? Malaysia Most Wanted beat other competitors in Malaysia market in terms of data quantity and user traction, but the market leadership is not really “tested” because no big players invaded the market yet: Yelp had yet to come, HungryGoWhere is still very much a Singapore thing, and Google Places is still a potential threat (not immediate). So our secret sauce is that we are the best in Malaysia? Sounds good, but not quiet suitable. Google+ succeeds because of Circle and Hangout, or because Google have the talent, money and user base to leverage on? Personally, I know Malaysia Most Wanted is good (data and traction), but not great (a lot more to be accomplished). An army of startups storm into the market (idea), a handful come out alive (data and traction), and very few became victorious. What is the secret sauce to become victorious? After data and users, I believe the next step would be quality and user experience (and profitable is the story for another day). Quality Recommendations from Food Expert, like the Michelin and Zagat guide? If so, how are we better than these guides? Power of pooling a larger community with better transparency? Talking about Power, Google just acquired Zagat and integration with Google Places is just a matter of time. But if Google is doing it, there must be good value in quality and branded recommendations. Let focus on what Zagat (or Michelin) is all about? Based on the about page, I picked up the following keywords: Gastronomic Bible, Influential, Trusted, “Frequent, Knowledgeable and Experienced Surveyors”, Up-to-date, and Reliable. On the downside, these guides could be “closed” (book only, or pay to subscribe) and not widely accessible through the Internet, and sometimes less coverage on commoner’s food (e.g. Michelin's Red Guide). Conclusion of Secret Sauce: Trusted Recommendations by Experience Food Reviewers validated by consumers. Though it might sound confusing, but it means not only the reviewers rate the restaurant, but the consumers will rate the reviewers rating as well (whether they agree or disagree with this reviews). 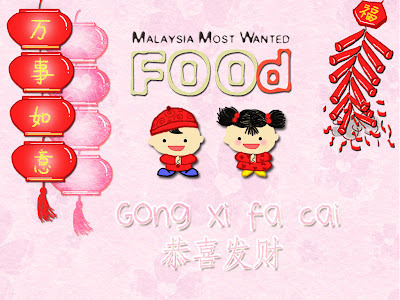 My Company, Malaysia Most Wanted, is developing a restaurant review site, to help young Malaysian discover suitable restaurants for daily gastronomic satisfaction and special occasions, based on reliable recommendations by trustworthy reviewers validated by consumers. This is what Malaysia Most Wanted aim to be. Like our pitch at TechCrunch if you like it (though TechCrunch selected some of the best once-sentence pitch).